Circa 1892. This gracious country manor was designed by English architect Ernest Coxhead, who patterned the home after designs prevalent during Shakespeare's time. The innkeepers received an award of merit for their restoration efforts and it's clearly deserved. Guests ascend rolling redwood staircases to reach their posh rooms decorated in rich colors and filled with vintage antiques. Each room features its own color scheme and unique touches. The Churchill Chamber, the original master bedroom, is adorned in grays, tans and black and boasts ornate furnishings, a gas fireplace and a two-person whirlpool tub. A secret passage leads to the honeymoon suite, formerly the gentlemen's smoking quarters during the prohibition era. Four guest rooms include gas fireplaces, and others feature clawfoot, whirlpool or Jacuzzi tubs. A full gourmet breakfast is served either in the dining room or in the bright sun room, a perfect start to a full day exploring Napa Valley. An evening wine and cheese reception welcomes you back at the end of your day.Publicity and Awards: California Visitor's Review, Fommers, San Francisco Chronicle, LA Times, Napa Register, tripadvisor.com, yahootravel.com, Travel Cafe, CBS Evening Magazine, Food Channel.Location: City/Urban and Wine country. Minimum Stay Requirements: Two-night minimum on weekend - Call 1 week ahead for exceptions. Meals Included in Rates: Breakfast, Afternoon Tea, Wine, Hors d'oeuvres, Fresh Fruit and Wine & Hors d'oeuvres in the tavern each evening. Types of meals: Early Coffee/Tea, Full Gourmet Breakfast, Vegetarian Breakfast, Afternoon Tea, Snacks/Refreshments, Banquet Service, Catering Service, Wine, Wine, Hors d' Oeuvres every evening and Eight fabulous restaurants all within walking distance of the Cedar Gables Inn. Amenities In Room: Air Conditioning, Reading Lamps, CD Player, Central Air, Stereo, Clock Radio, Hot Tub/Spa/Jaccuzi, Fireplace, Hair Dryer, Bathrobes, Bath Amenities, Wireless Internet Access, Iron/Ironing Board, Complimentary Port, Chocolates in each room, Luxurious Bathrobes, Fizzy Bombs for Jacuzzi tubs, Beautiful and unique antiques. Amenities On Site: Library, Phone, Fax, Fireplace, Television, VCR, Gift Shop, DVD, Old English Tavern with massive fireplace, Elegant dining room with antique crystal chandeliers, Outdoor patio, Three-course gourmet breakfast, Wine, cheese in the Tavern every evening, Very large screen TV with surroundsound, Concierge service and Fabulous hosts. Business Traveler Amenities: Television, Wireless Internet Access, FAX On-site, Iron/Ironing Board, Hair Dryer, Daily Newspapers, Gym Nearby, Flexible Check in/out Times, Small business meetings, breakout rooms, large screen TV/DVD/VCR for presentations, box lunches, catered lunch or dinner available, support for special presentations or functions available and "reward packages" available. Events Hosted: Family Reunions, Seminars, Meetings, Weddings, Romantic Getaways and local meetings. Other Activities: Amusement Park, Antiquing, Art Galleries, Bicycling, Canoeing/Kayaking, Fishing, Golf, Hiking, Horseback Riding, Live Theater, Museums, Parks, Shopping (Local Crafts), Tennis, Wineries, Napa River cruise, Napa Wine Train, Hot air ballooning, Limo tours, Biplane rides, Wine tasting, Food tasting, Olive oil tasting and Romantic picnic spots. 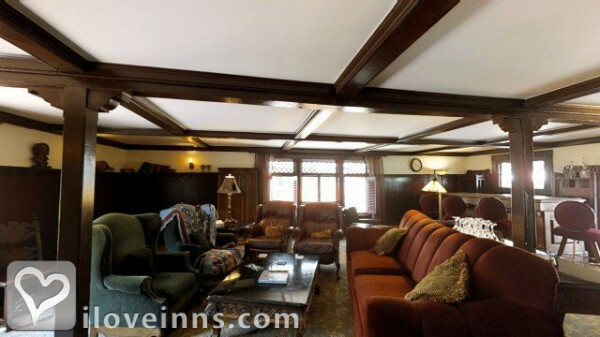 Historic Memberships: Historic Inns of Napa.